Robo is trippin' through the world of Plasmalife. 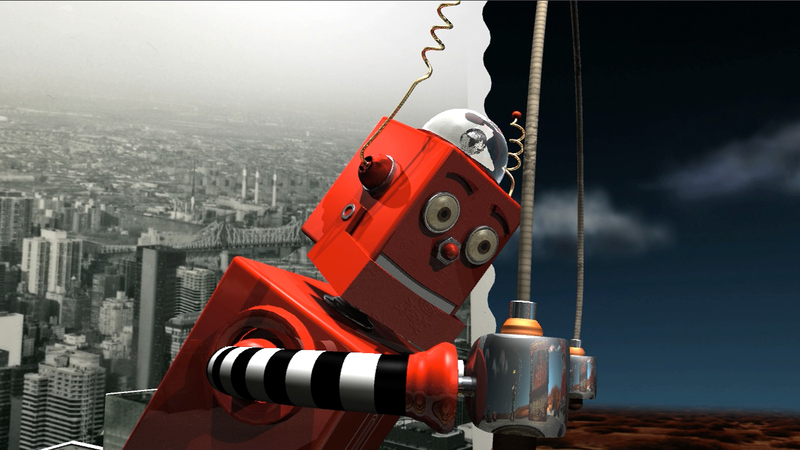 Robo is trippin' through the world of Plasmalife. 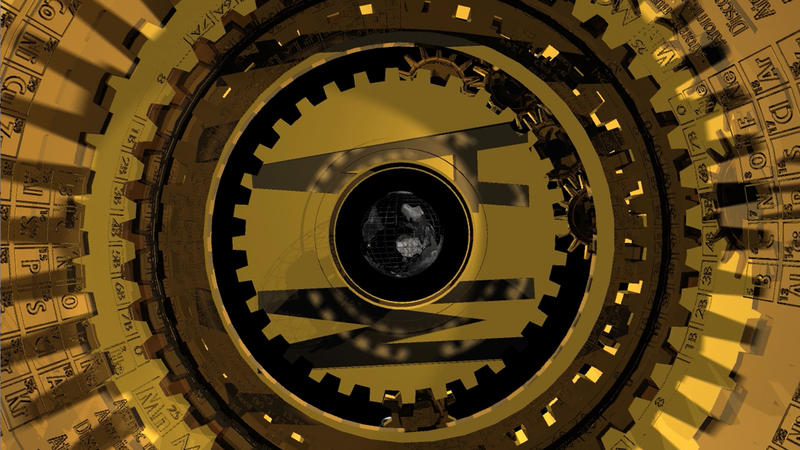 This animation was a winner in the 2012 International Motion Arts Awards and the recipient of a 2012 Platinum Pixie award. Read the article here: IMAA article I created this animation based on a number of "orphaned" ideas in my sketchbook and several short animation experiments. 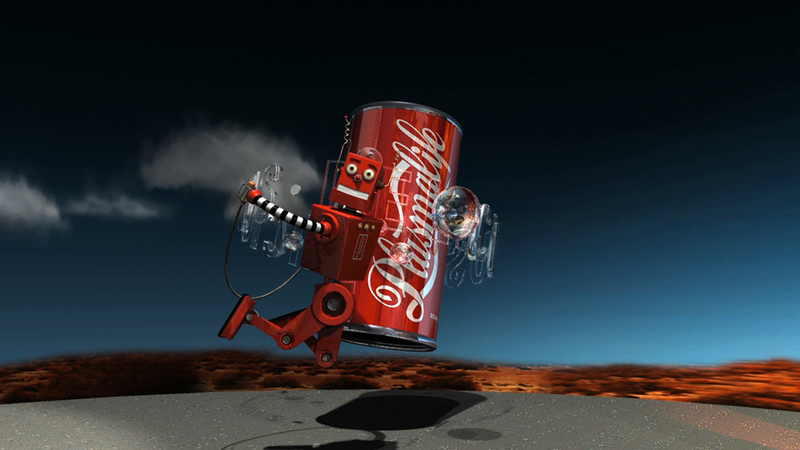 The Plasmalife can (delicious & refreshing) was re-purposed from an earlier animation. 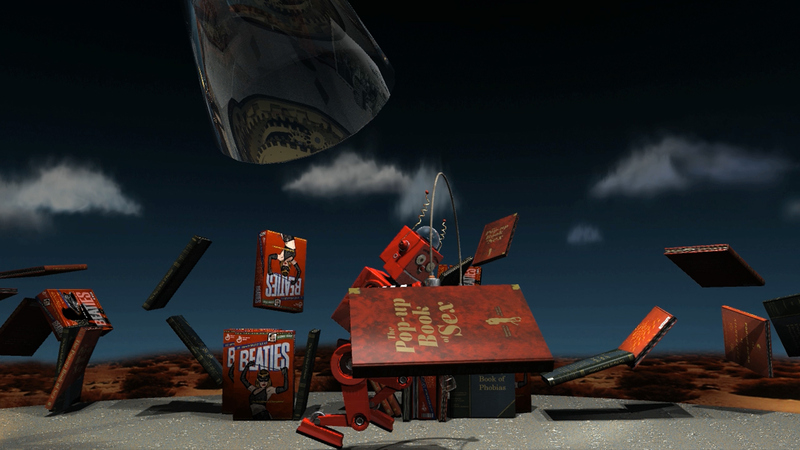 Robo then arrives at a carnival, built with illustrations re-purposed from a solo show about religion called "Death and Taxis" . 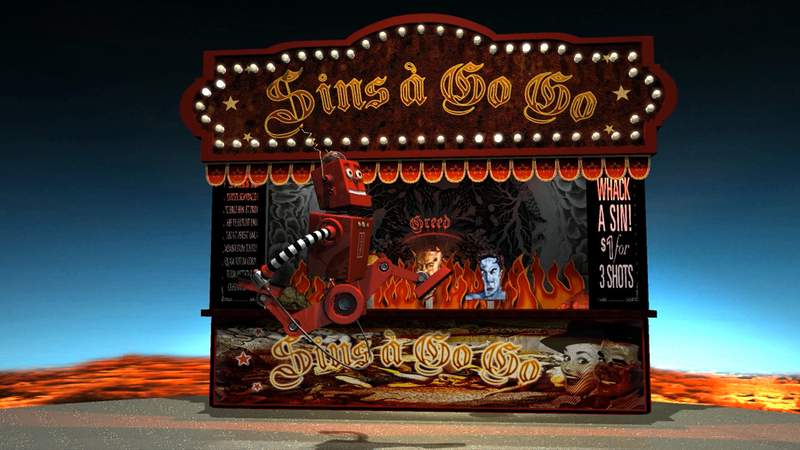 Many years ago, I painted the Seven Sins as part of this show and, for this animation, decided to create a carnival shooting gallery using those portraits. 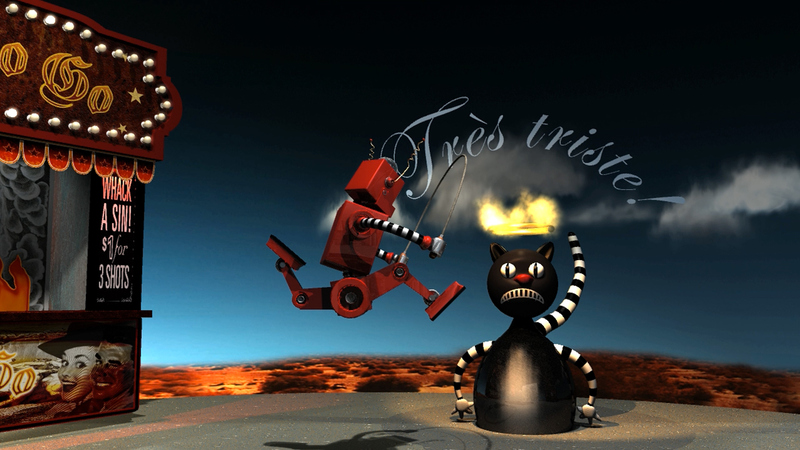 The sad cat/ happy cat was created for a short animation lamenting the imminent departure on my "unsubscribe from my newsletter" confirmation page. 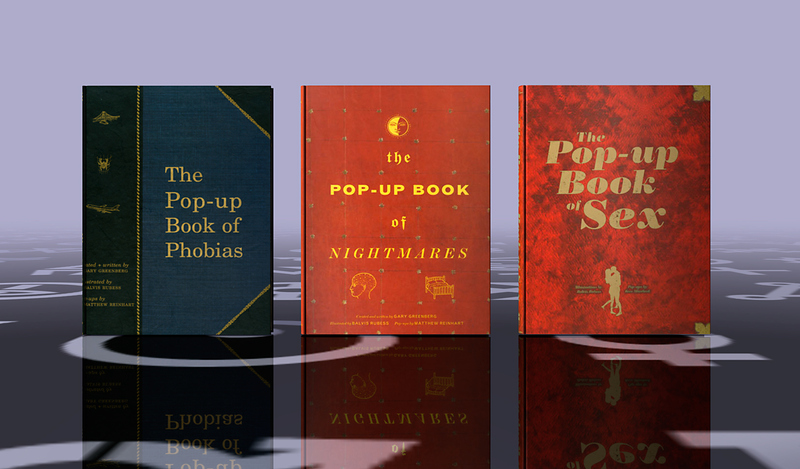 …and decided to use them as a stacked element in the animation. 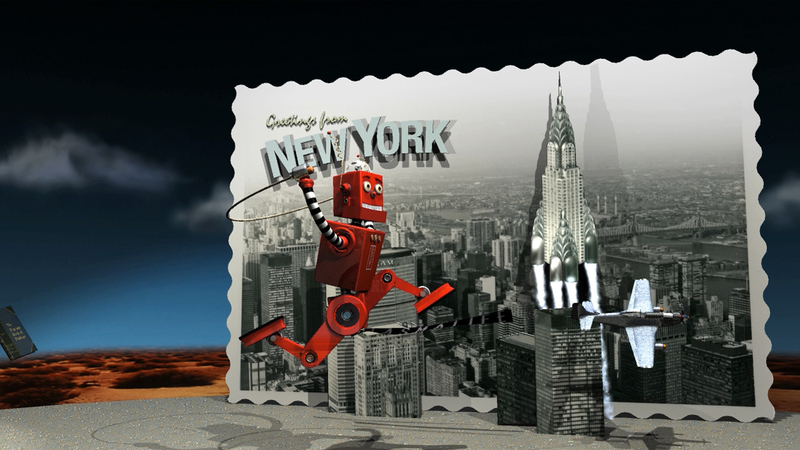 I have this wonderful family photo of New York and wanted to create an animation of an alien attack on NYC in the 50's. The Pan Am building grows limbs and goes on the attack, with Mustang P-51's buzzing around the city, and the Chrysler building turns into a rocket and takes flight (still in development). So I turned it into a postcard. All in all, a good day in the world of Plasmalife!